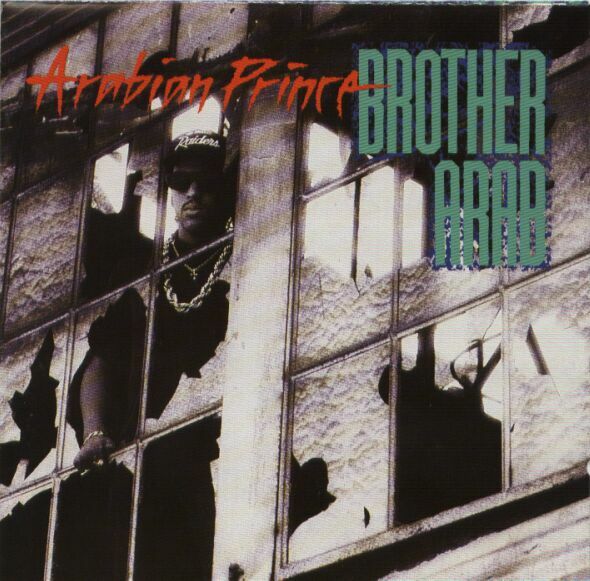 Arabian Prince | Digging in tha crates. Arabian Prince is mostly known for having been part of seminal gangsta rap group N.W.A, recording with them on N.W.A and the Posse and (allegedly) Straight Outta Compton, (allegedly) getting his vocals stripped from all but one song in post-production, the song he was still on essentially being a bonus track, tacked onto the album as an afterthought (and oft-cited as the reason Straight Outta Compton isn’t the perfect album it could have been), after the boys from Compton had decided that they didn’t really want to be an electro-funk dance outfit but the world’s most dangerous group in stead (Up until then Dre, Ren Eazy, Cube and Yella had been in a severe identity crisis, and when they had made-up their mind Arabian Prince got kicked out for what essentially constitutes “creative differences”.). Keeping this in mind it is funny that Arabian Prince, for whom unlike Michel’le (another witness to Dr. Dre’s shady electro past) apparently there wasn’t even room as a solo-artist on Ruthless Records, comissioned an album cover that makes it seem as though he’s still very much part of the world’s most dangerous music franchise. What with the blood-red font in which his name is written, the dark shades and Raiders cap he sports and his gold rope-chain. Despite what Brother Arab and/ or the people at Orpheus Records would have you believe, this is not N.W.A-offshoot. Not only as a matter of fact, but also in spirit. Prince, who is all by himself here in the vocal booth, doesn’t drop the N-word anywhere, or any other curse word for that matter. This isn’t a problem in and by itself, profanity-free music can work (maybe even profanity-free gangsta rap) but it is is odd for a man from a gang called Niggaz With Attitude, coming straight out of Compton. And Brother Arab doesn’t quite pull it off lyrically, dropping some pretty pedestrian, clunky and unappropriately clean raps about achetypical gangsta rap subjects about violence, drugs and [bleep]ing your girl. It would seem that Dre, Cube, Ren, Eazy and Yella may have had a good reason for cutting Arabian Prince loose. Dude doesn’t have Cube or Ren’s rhymes, Eazy’s charisma or Dre and Yella’s beats (although the album cover does show that the man had some of that Suge Knight business sense). One is hard-pressed to see this guy contribute anything substantial to Straight Outta Compton, and he didn’t deliver the goods with his solo-debut either, which helped make his irrelevance and obscurity complete.